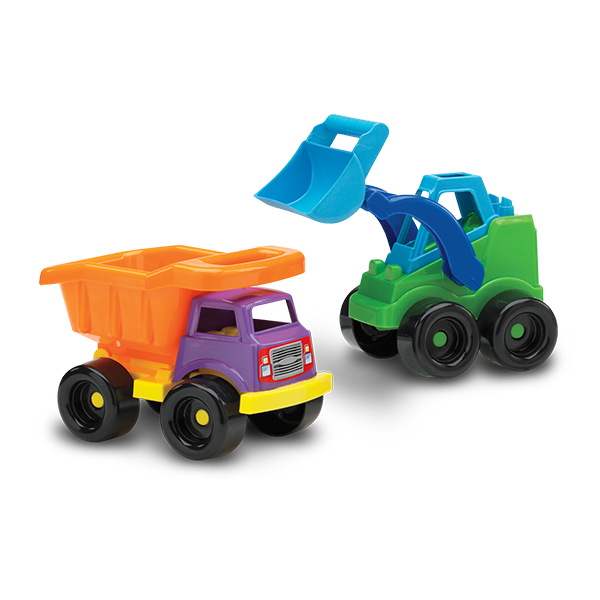 LIL CHUBBY CONSTRUCTION ASSORTMENT | American Plastic Toys Inc.
Small in size, but big in fun! The loader has a movable arm and bucket for lifting and dumping. The dump truck has a detailed interior and oversized dump bed for easy loading and unloading. Both feature oversized tires with sturdy molded-in axles and colorful decals. Packed in a colorful “Dump Display” box.